We’re back with another edition of our ongoing CarterMatt TV Heroes article series, and in this particular piece the focus is being placed squarely on someone in Gabriela Dawson who is worthy of even more praise that she receives. When you think about everything that Dawson does in Firehouse 51, it’s easy to understand why she is worthy of getting the spotlight today in this series. The mere nature of what she does for a living makes her a hero — being a firefighter or a paramedic are jobs that only the boldest can do, given that you are talking about a career path in which you almost constantly are putting your life on the line for the benefit of others. It requires long hours, often very little sleep, and pushing your body in ways that it has never been pushed before. Dawson could treat this job just like any other and still be praised for it; yet, she really goes above and beyond every second that she’s in the field. She’s one of the most devoted people to her job in Firehouse 51 — she’s headstrong, determined, and isn’t afraid to challenge people when it needs to happen. It doesn’t matter if they are victims, firefighters, or anyone else. She has the resolve to stand by her convictions and do what is right, even if not everyone else close to her sees it as the right choice. She overlooks red tape and breaks the rules, but does it for the purpose of helping others. She’s willing to put her career on the line almost every time she steps out into the field — what’s a better example of a hero than someone who is willing to sacrifice so much of themselves for the sake of others? You can argue that she’s so driven at times that it comes to the detriment of some of her relationships, but that just adds to the character’s depth and humanity. If Dawson was perfect she wouldn’t be as compelling to watch. What’s also so fascinating about this character is that her heroism hardly stops on the job. We’ve seen both with Louie and also Bria that she is intent on trying to be a hero to people who need her away from the field. She wants to give others who deserve it a better life and it doesn’t really matter if it comes as a personal detriment to her. It’s not easy for someone to say “I’m willing to compromise my personal life and my free time to make someone else’s life better”, but Dawson does that time and time again. She may think about others more than any other character on this show, and that is really saying a lot given that Chicago Fire is, at its core, a show about heroes. 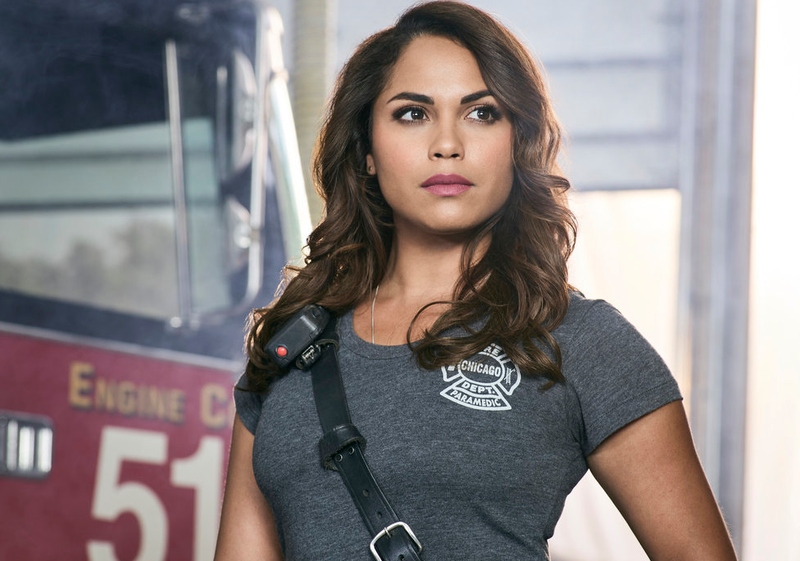 The credit for Dawson goes in part to Derek Haas and the writing team for finding constantly interesting ways to allow her to shine; meanwhile, Monica Raymund has delivered an Emmy worthy performance in the role for years, allowing Gabriela to be vulnerable while also a powerful force of nature in the firehouse. She’s a wife, a life-saver, a sister, a friend, and so much more to many different people. To go along with all of this, Dawson never looks at any of it as though it’s a burden. Instead, it is a pleasure to be able to take this job on. Related – Be sure to see more news on what’s coming later this season! What do you appreciate the most about Gabriela Dawson as a Chicago Fire character? Be sure to share some of your thoughts right now in the comments!